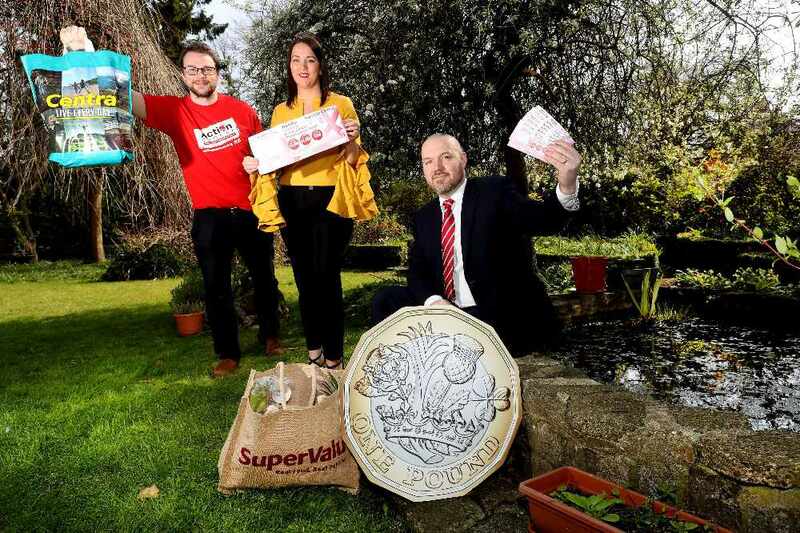 Leading Northern Ireland retailers SuperValu and Centra are launching an Action Cancer Raffle this Easter to raise funds for the local charity. The initiative is part of a fundraising drive to raise one of the largest amounts ever by a company for an individual charity in Northern Ireland. By the end of 2019, the total raised for Action Cancer via the charity partnership will reach an outstanding £3million. 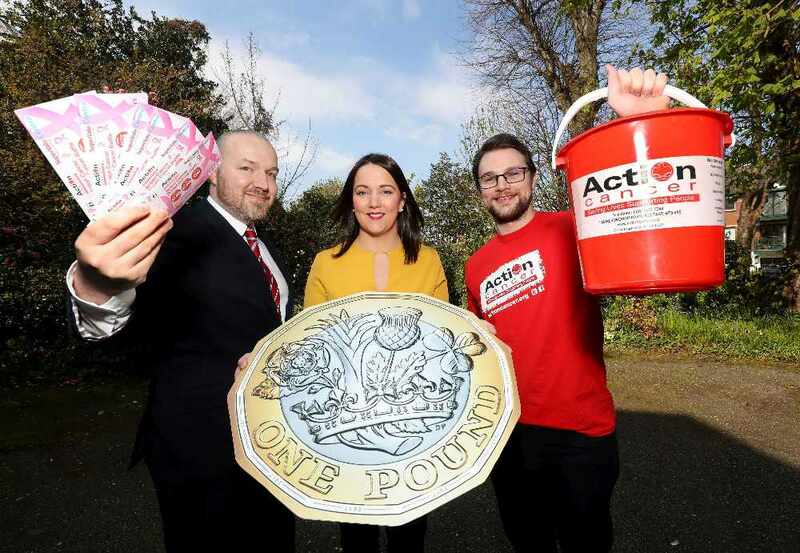 Centra and SuperValu stores across Northern Ireland will be taking part and the retailers are confident of raising £40k via the raffle for Action Cancer which will enable the charity to provide an additional 500 breast screenings or deliver 160 Health Action Programmes to local schools. Tickets cost £1 and will be available in retail stores from April 15 with the prize draw announced June 28. Three prizes of £2,000, £1,000 and £250 are up for grabs. Pictured (L-R) Mark Jones, Action Cancer, Jennifer Morton, Centra Brand Manager and Stephen Bogle, SuperValu Brand Manager. Funds raised as part of the Action Cancer charity partnership help support a range of projects including the Big Bus mobile breast screening unit and a Health Action Programme for children. This year alone, the money raised by the retailers has enabled the Big Bus to travel to over 200 locations and provide 1,973 MOT Health Checks and 4,339 breast screenings with 222 of these screenings being referred for further tests. The funds have also allowed the Health Action Programme to visit 163 schools across Northern Ireland, reaching 9387 pupils. The programme is designed to improve knowledge of health and encourage pupils at nursey, primary and secondary school levels to take ownership of their lifestyle choices. The raffle is just one of the fundraising initiatives being rolled out by the retailers this year to reach the £3 million goal. Mirielle McNutt from Bangor was one of those screened during a visit to the Action Cancer Big Bus when it was at Comber SuperValu in 2017. Following her screening, Mirielle was referred to the Ulster Hospital and was diagnosed with breast cancer. After surgery and radiotherapy, she is now cancer free. “The school took part in Action Cancer’s Health Action programme in February and found it very beneficial and educational. The health programme is free to schools from nursery through to KS1 & 2 and it encourages young people to make the right lifestyle choices by promoting four key health messages - keeping safe in the sun, healthy eating, exercise and the dangers of smoking. “We’re asking all our customers to support Action Cancer this Easter by calling into their local SuperValu or Centra store to buy a ticket for the raffle. Tickets cost only £1 and you could be in with the chance of winning up to £2,000. To purchase a ticket for the Action Cancer charity raffle, call into your local SuperValu or Centra from April 15. For more information about the charity partnership, visit www.supervalu.co.uk or www.centra.co.uk.